Fresh from the announcement that it would power reviews and business listings in Apple’s new iOS 6 operating system, Yelp is also bringing more content to Bing Local searches, delivering more listings in Bing Local search pages from today. As part of the agreement, Yelp will deliver review snippets, photos, business details for Bing users in the US and will be placed prominently on Bing Local pages, helping users connect with businesses and companies that are in their local area. The initial rollout begins today, but Microsoft will implement Yelp fully across the US in the coming weeks. At the end of May, Google launched one of its biggest multi-product overhauls in quite some time with the release of Google+ Local. The new, more social, offerings replaced the Google Places pages and brought the importance of its Zagat acquisition to light. Google+ Local became a new tab within Google+, weaved itself into results when searching for venues on Google Maps and Places, helping users gain more information from and find new businesses in their area. However, it’s been a very busy week for Yelp, after it was named as the provider of business listings and reviews in both Apple’s Siri voice-assistant and its new custom 3D mapping service in the company’s new iOS 6 operating system, with data also supplied by mapping giant TomTom. It’s the latest in a long line of social integrations in Bing by Microsoft, following a big overhaul earlier this month. 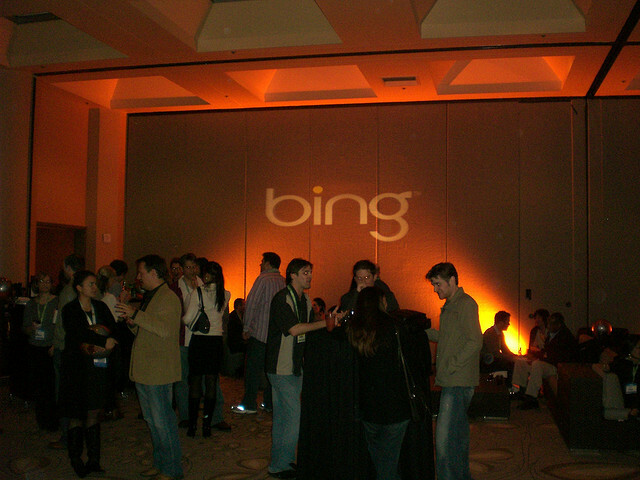 Bing users in the US will now see a new new three-column design and enjoy Facebook and Twitter support, utilise a new action column which fusing results from OpenTable, FanSnap, and also Yelp. Today’s deal sees Microsoft expand its partnership with Yelp, providing detailed listings on local searches and providing a dedicated place from which to view them.